This morning, I was heading back to Columbia from Florence (after participating in a symposium at Francis Marion University last night), and debating whether I should stop for a Starbucks on my way out of town. Why the debate? Well, I’d just had two-and-a-half cups of coffee at breakfast. Of course, I decided in favor of all that is right and good. But as I turned in, I saw that all was not as it should be. There was a firetruck blocking my view of the shop, and all the baristas were standing around outside. Which was not good, because if they’re standing around outside, how are they going to serve me coffee? I didn’t bother any of the police officers standing in a clump at the other end of the firetruck, because they were busy standing there staring, talking in murmurs, and waiting for something. Besides, I had to get on the road. Which I did, after Tweeting out the above picture. 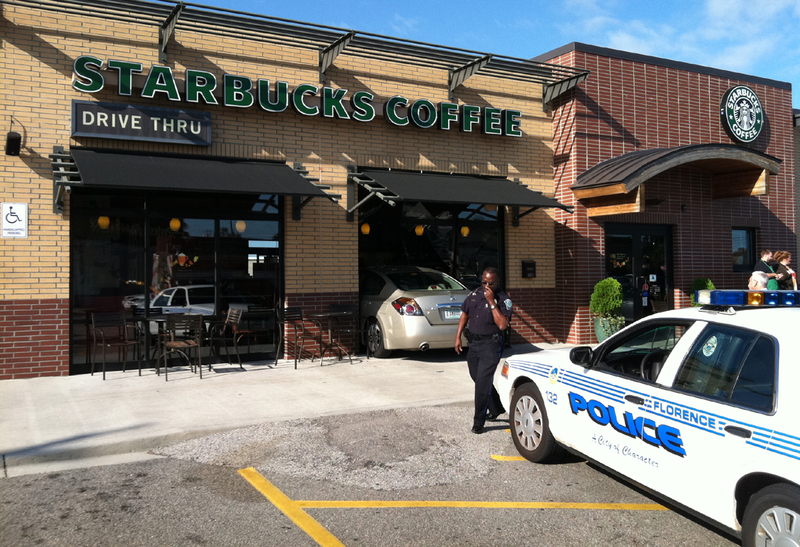 FLORENCE, S.C. –A Nissan Altima crashed into the drive-thru Starbucks at Five Points in Florence. According to emergency responders, the undentified female driver was complaining of chest pains before and after the accident. Although she showed no signs of cardiac problems, she self-administered nitroglycerin medication as a precaution. The driver was then taken to the hospital to assess her injuries. An unidentified female customer also sustained minor injuries when she was struck by both the car and debris from the accident. She was able to transport herself to the hospital. 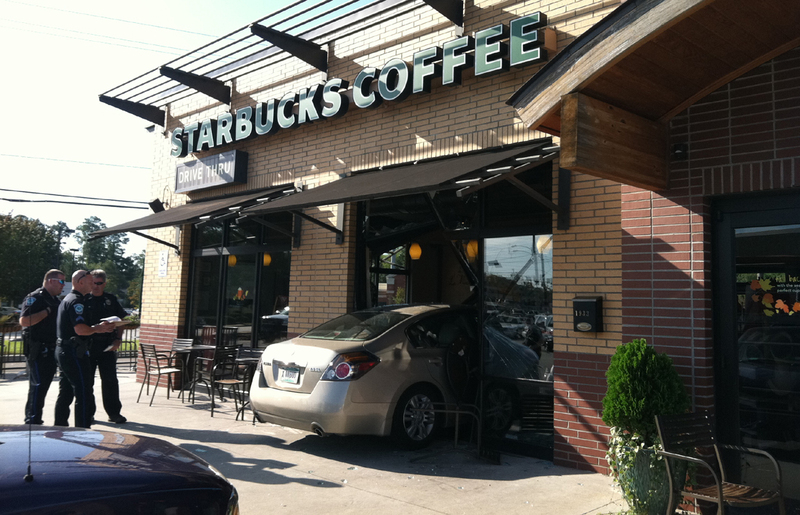 The Starbucks is closed until further notice. So no joke, and I hope everyone will be OK. And that there will be coffee next time I go there. Is that really Andre behind those souvenir photos? 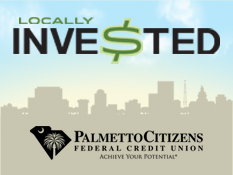 SCANA’s Kevin Marsh: Will he stay or will he go? Who spends $100 at Starbucks? This entry was posted in Business, Coffee, Driveby, South Carolina on October 7, 2011 by Brad Warthen. There’s a Five Points in Florence? Who knew? Yay!!! The weekly Starbucks post!!! I’ll bet that the driver will blame in on Toyota’s sudden acceleration problems…. It’s been pretty quiet about Toyota’s acceleration problem newsfront. She could try, but she wouldn’t get far with that. It was a Nissan.